Happy Monday everyone! 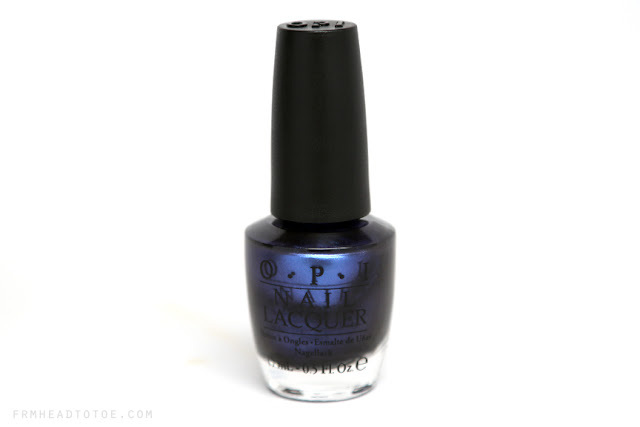 Today I wanted to share a brand new nail polish from OPI's The Amazing Spiderman collection called Into The Night, which I received as a gift from my awesome sister-in-law. As soon as I saw the bottle I knew I wanted to try it on right away. To be honest, my first impression of it was that there's nothing like this blue in my collection (cue excitement) and I'm happy to say that it's also one of the most flattering mid-toned blues I've ever tried on my skintone! OPI Into The Night is a polish that is a little blue, a little purple, a touch of steel, and has a very cool glow that makes it a unique and unusual polish in my collection. I wouldn't call it a true duochrome since it doesn't dramatically flash from one color to another, but there is definitely some magic factor that makes it look like completely different colors in different lighting. The actual polish bottle is a perfect example of this effect. The most-lit areas reflect a hint of teal while the shadows cast a deep purple-blue undertone. Sitting here at my computer desk I could swear it's a steely violet, but these blog photos give off a denim-blue vibe. See the edges of each nail and how it goes indigo there? That is what I call nail polish magic. I used a base of CND Stickey Base with 3 coats of Into The Night and Seche Vite top coat. The first two coats went on quite sheer, but three coats were enough opacity to satisfy my personal taste. You can still get a hint of translucency when light is behind my nail tip but not annoyingly so. The biggest negative I can see is that application can get streaky if you aren't careful, like a lot of frosty polishes. Overall I'm very happy with this polish since, as I mentioned earlier, the shade is actually quite flattering on my medium, yellow-undertoned skin. I attribute this very much to the fact that it has that added warmth of purple versus cooler blues which make my skin look a bit grey. Blues are so tricky sometimes! Readers, do you have a favorite blue? Do you avoid certain colors because they don't match your skin? Let me know in the comments! I really like that shade ! Hey Jen! I am super excited that I found your blog! I am also Korean and I've had such a hard time finding someone who knew how to do makeup for Asian women! The past two days I've just soaked in so much great information and also have bought so much makeup! :) I'm pretty sure my husband is going to pass out if he finds out how much I've spent! HAHAHAHA! I think you are just amazing and please keep the makeup tutorials coming. So pretty! I liked your banner so much that I filled out the contact form for "tombee designs" below, it's been over a week and he hasn't contacted me back, do you know if he's available? GORGEOUS! This is such a beautiful color! Which brand do you like better OPI or Butter London? I stocked up soo much for both of these brands, Ulta was having great buy 2 get 1 free sales, but I'm starting to think OPI is a little bit better. Every time I try painting my nails with Butter London it takes too long to dry and sometimes it bubbles up. I put very thin coats. I only use 1-2 coats and wait for them to dry completely and then put my top coat. I thought the problem was me but my friend just went through my collection and felt the same way. Do you have the same problem? This is a gorgeous shade. I love blue and purple nail colors. I love the shade, it looks a lot darker in the bottle than it does on your nails, but such a pretty colour. Jen, I love this color! Just curious, where do you buy your nail polishes? I usually buy polishes from mass retailers but nail polish specialty shops are AWESOME if you can find them. 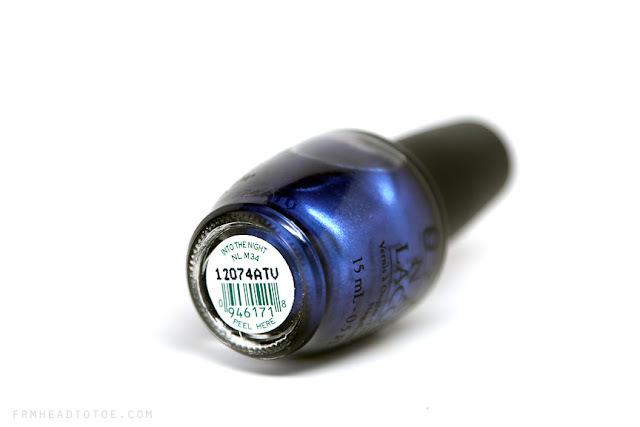 omg this metallic blue nail polish is totally stunning!! Love! cute color! I don't normally like metallic but this one is pretty nice! that's a really lovely and glamorous color!! hi jen! i was wondering on how you get your nails to look so perfect after painting them? i feel like when i paint mine, polish gets everywhere (on cuticles, along edges, etc... and i still manage to smudge them even if i apply a fast-drying top coat :[. any tips? I love royal and navy blue.That shade is amazing. 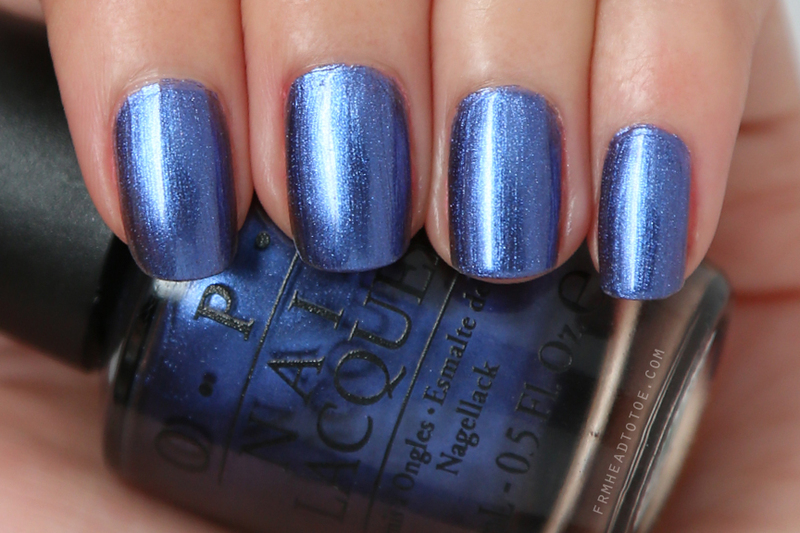 Manicure Monday: OPI Liquid Sand "The Impossible"